He wasn't our best journalist. In fact, we just let him run wild and deliver stories when he could. All we have left is this small collection of what we, his editors, think are his best articles. 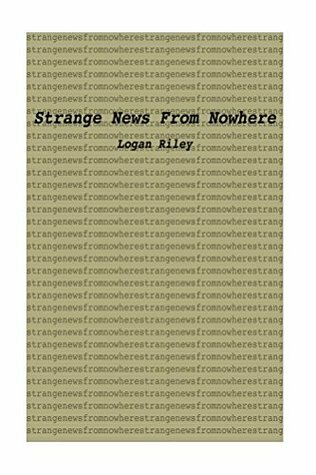 Strange News from Nowhere is an intriguing collection of short stories about strange happenings that a journalist attempts to jot down. He travels near and far to meet with strangers who spontaneously combust, those who turn into chalk, those who can take their heart right out of their chest, and many more interesting characters. I thoroughly enjoyed Riley's writing style and the creativity in every single story. Each character was described with such beautiful imagery, and I felt like I could picture them right in front of me. The characters made me feel their pain, joy, fear, and anger and I loved how real they all seemed. Strange News from Nowhere is very different from everything else I have read this year, but I loved every page. It was a quick read and really caught my attention from the beginning. 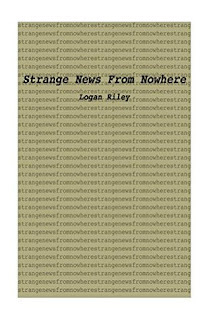 Thank you Logan for sharing your "strange news" with me. I would definitely recommend this to friends!